Seven-year-old Gabriel Meyers didn't want soup for lunch one Thursday in April, 2009. When his 23-year-old foster brother sent Gabriel to his room for dumping his soup in the trash, Gabriel threatened to kill himself. He kicked his toys around his room, then locked himself in the bathroom. Police reports say Gabriel was home sick that day from his elementary school in Margate, Fla., under the care of Miguel Gould, his foster father's son. Around 1:00 p.m., city police responded to Gould's frantic 911 call and found Gabriel had hanged himself. A troubled child who had previously suffered from neglect, sexual assault, and abusive parenting, Gabriel spent the previous year shuttling among several foster parents while taking a constellation of antipsychotic medicines, including Lexapro and Vyvanse, to control his depression and attention deficit hyperactivity disorder. Like most children in Florida state foster care, Medicaid paid Gabriel's medical expenses. Just one month before his suicide, Gabriel's doctor prescribed him Symbyax, an anti-depressant restricted for treatment of children. The medication's FDA-required label features a warning that use of the drug by children or teenagers can lead to suicide. Symbyax does not meet criteria established by Congress for Medicaid reimbursement., so it is illegal for Medicaid to pay for a prescription of the drug to a child. Sohail Punjwani, the doctor who prescribed Gabriel's Symbyax, received a stern letter from the FDA about his history of over-prescribing mental health drugs. According to a number of foster care experts who spoke with Politics Daily, children in foster care, who are typically concurrently enrolled in Medicaid, are three or four more times as likely to be on antipsychotic medications than other children on Medicaid. Alarmingly, many of these drugs are medically prohibited for minors and dangerous to the children taking them. Often young patients under state supervision are also prescribed three or four high-risk drugs at a time -- all paid for by Medicaid. State foster care programs and child protective services have had mixed success addressing the pervasiveness of dosing their clients with prescription psychotropic drugs. Using federal Medicaid monies to purchase dangerous prohibited prescriptions for children, which cost the government up to $600 per dose, is technically a violation of the law. Now, the Senate Subcommittee on Oversight of Government Management, chaired by Democratic Sen. Daniel Akaka of Hawaii, has asked the Government Accountability Office to look into the drugging of foster care children. The investigators will attempt to account for estimates in the hundreds of millions of dollars of possible fraud arising from prescriptions for drugs explicitly barred from Medicaid coverage. The GAO is collecting data from Oregon, Massachusetts, Florida, Maryland, Minnesota, and Texas, to search for patterns of abuse. This effort marks the first time suspicion of Medicaid fraud related to psychotropic drugs has been examined at the federal level. According to Senate staffers working on the investigation, the committee will likely hold hearings on the matter later this year. Psychotropic medications, also called "antipsychotics," act on the central nervous system and alter brain function, mood and consciousness. The GAO investigation is chiefly focused on anti-depressants, widely used in foster care in dangerous combinations, and for so-called "off-label" uses to treat symptoms for which they have not been medically approved. Antipsychotic medications have been a factor in a number of children's deaths. Statistics on psychotropic drugs in foster care have until now come out in scattered reports, mostly from investigations of foster care failures by individual states. For example, in 2003 a Florida Statewide Advocacy Council study found that 55 percent of Florida's foster children were being administered psychotropic medications. Forty percent of them had no record of a psychiatric evaluation. Another Florida report also indicated anti-psychotic medication use increased an astounding 528 percent from 2000 to 2005. A Texas state study in 2004 revealed that 34.7 percent of Texas foster children were prescribed at least one antipsychotic drug -- and 174 children in the care of the state aged 6-12 were taking five or more psychotropic medications at once. Last April, an investigation by the Atlanta Journal-Constitution exposed several companies operating foster care homes in Georgia repeatedly used antipsychotic medications to "subdue" children in their care. Despite being cited repeatedly, none of the agencies were fined more than $500. According to child care experts and assessments by both advocacy groups and state government agencies, many states lack efficient records management and adequate oversight of foster care, contributing to pervasive lack of medical continuity for the children. Social workers have oversized caseloads of foster children, who are often shunted between families and prescribed antipsychotics from doctors unfamiliar with their medical histories. Without a case history, experts and foster care alumni say, doctors are more likely to add medications than take them away, resulting in record numbers of children dispensed several antipsychotic medications at once. In many cases, the drugs are prescribed off-label to kids with behavior problems. Julie Zito is a professor of pharmacology at the University of Maryland who conducted a 2008 study of the Texas foster care system that found 41 percent of the children prescribed psych drugs received three different medications. She told Politics Daily what little research has been done suggests children in foster families are rarely assessed properly, a failure leading to serious effects. There has been no research on multiple-drug regimens, professor Zito explained, and "blitzes" of medication have become a pervasive way of dealing with behavior problems in foster care. "We've expanded the medication practice in response to children not getting better," she said, and children who fail to improve, "are getting more medication." Pharmaceutical companies manufacturing psychotropic drugs have played a major role in encouraging their increased use on foster care clients. Drug companies participate in aggressive marketing, conduct misleading research about efficacy and safety, and in some cases, "bribe" psychiatrists to prescribe their drugs, according to Zito and Jim Gottstein, an Alaska lawyer and founder of the Law Project for Psychiatric Rights, who has mounted several lawsuits against pharmaceutical corporations. For example, last year the St. Petersburg Times reported that a psychiatrist in Jacksonville, Fla., was paid for speaking engagements to encourage her to prescribe Seroquel, a drug used to treat bipolar disorder and schizophrenia, and a neurologist in Tampa received free trips to Spain and Scotland from AstraZeneca, the drug's British manufacturer, for her innumerable prescriptions of the drug for headaches. Seroquel is the top-selling antipsychotic drug in the U.S., with over $4 billion per year in worldwide sales. AstraZeneca recently paid $520 million to settle lawsuits -- some brought by doctors who had been offered swag in exchange for prescriptions -- over its illegal promotion of off-label uses for Seroquel. According to Jim Gottstein, the increase of antipsychotic use in foster care amounts to "drug companies sacrificing children's lives on the altar of corporate profits." Gottstein recently filed a citizen's suit on behalf of the state of Alaska against several doctors, drug companies, and insurance companies, claiming that they knowingly promoted Medicaid fraud. In response to the devastating study of the Texas system in 2004, that state's top health agency introduced a new set of guidelines stressing specific treatment goals for medication and "informed consent" of parents and guardians. That effort led to decreased use of psychotropic drugs relative to the number of children enrolled in foster care from 2002 to 2009, according to data from the Texas Health and Human Services Commission. In May 2005, Florida expanded foster parents' rights to reject psychotropic treatment for the children in their care. Four years later, however, a review found that the new requirements were being flauted, and the panel that investigated Gabriel Meyers' suicide concluded that every level of the Florida system had missed "warning signs" that Gabriel's care was inadequate. Thirteen percent of Florida foster children were on one or more psychotropic drug, and 16 percent of those were not approved by parents or guardians. In 2008, Rep. Jim McDermott (D-Wash.), the only psychiatrist in Congress, introduced a bill titled Invest in KIDS Act, which included stronger oversight for prescription medications in foster care. McDermott held a hearing on psychotropic drugs' use in foster care, but the bill died in committee. Near the end of George W. Bush's second term, Congress passed a law co-sponsored by McDermott that included increased oversight for "mental health" in foster care, but did not specifically mention psychotropic drugs. "Some children in foster care may need and benefit from psychotropic medication," McDermott told Politics Daily. "But these drugs should not be used as a shortcut to treat foster children when more effective treatments, including counseling, might provide long-term benefits." Federal and state agencies have pursued drug companies that illegally market their drugs for off-label uses, a practice that experts say heavily contributes to the overuse of psychotropic drugs in foster care. Last year, a Justice Department action against Pfizer led to a $2.3 billion settlement, the largest in the department's history. Companies convicted of major health fraud are barred from participating in Medicaid and Medicare. But worrying that a conviction would cause Pfizer to fail and cost its employees their jobs, the government allowed Pfizer's shell company, which exists solely to plead guilty in lawsuits, to be charged instead, and the drug company paid a fine. Pfizer maintains that it did not break the law. 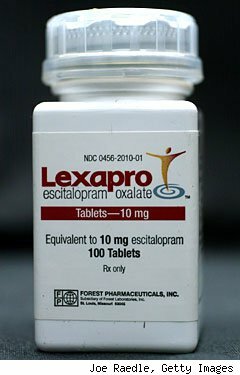 In 2006, the New York Times obtained a batch of internal documents that showed Eli Lilly, the maker of Zyprexa, a medication approved exclusively for treating the severe mental illnesses of schizophrenia and bi-polar disorder, was suppressing information on the drug's harmful side effects and advertising it illegally. Lilly paid $62 million to settle lawsuits with 32 states and the District of Columbia, and agreed to ensure that its marketing complied with the law. The problems that lead to psychotropic drug abuse in foster care are complex and deeply entrenched, but activists and advocates have proposed a number of solutions for limiting the overuse of anti-psychotics. Foster care experts, including a current task force of the American Academy of Pediatrics, believe that getting foster children a "medical home" -- one physician who manages their care over the long term and has access to relevant records -- would reduce the over-prescription of antipsychotic medications. "Having a drug to take the edge off the pain and fear and sadness saved my life a time or two, but it's not a lifestyle." said Misty Stenslie, a former foster child who is currently the deputy director of Foster Care Alumni of America. Children under the protection of government agencies deserve the assurance of safe and decent health care. Especially, as Stenslie points out, "We can't give kids what they really need, and that's a family and love." © 2010 Weblogs, Inc. All rights reserved. Politics Daily is a member of the Weblogs, Inc. Network.